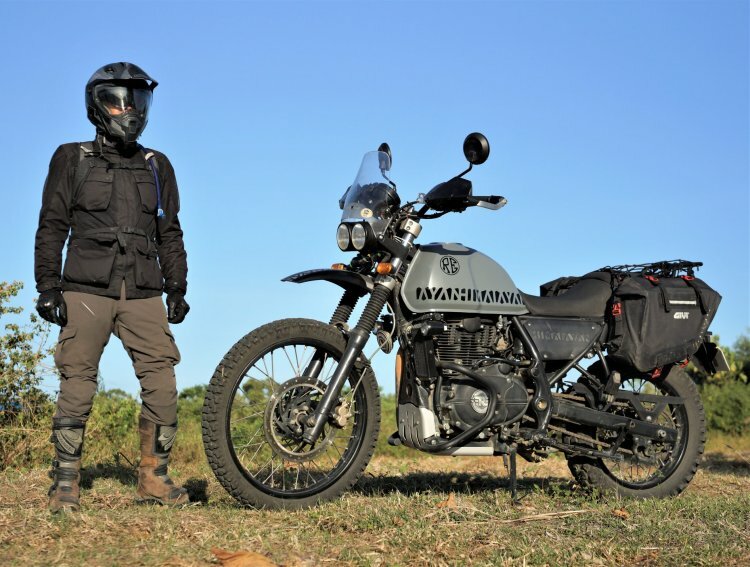 A Filipino Royal Enfield Himalayan owner, Joel Munoz, has modified his motorcycle into a lightweight scrambler. 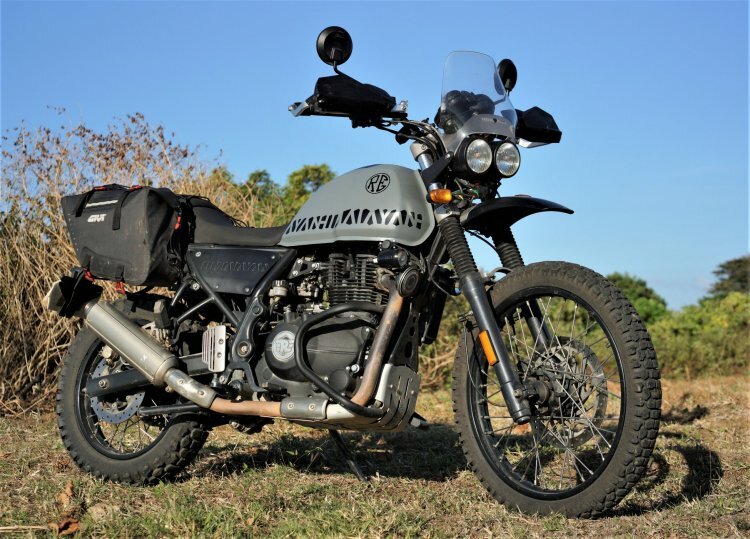 He shares these images on the ‘Royal Enfield Himalayan Owners USA’ Facebook page. The custom Royal Enfield Himalayan Scrambler is hand-built by its owner, Joel Munoz. The custom Royal Enfield Himalayan is home-made as he feels “no sense in spending much for a custom job.” An architect by profession, he describes himself as “an amateur and a tinkerer.” The modified Himalayan features a matte grey paint scheme with custom ‘Himalayan’ decals. The tank protector/headlight mount has been removed to reduce the weight by up to 3 kg. The modifier has also replaced the stock round headlight with twin circular headlamps, while the stock windscreen is retained. An aftermarket knuckle guard has been installed to protect the levers during off-road trails. Joel Munoz has also installed a rear brake reservoir protector (heel plate) and an engine crash guards, which is imported from India. The modified Royal Enfield Himalayan also features a locally-made single-chamber titanium exhaust that replaces the stock canister. According to the customizer, the new silencer not only reduces the weight but also gives an extra 10% power boost. The stock dual-purpose tyres on the Royal Enfield Himalayan have been replaced by off-road specific knobby tyres. Lastly, the motorcycle also comes fitted with GIVI saddlebags to aid touring. Mr Munoz claims that the modified front fascia helps during off-road trails; however, the touring capabilities have taken a hit as a result of the low-rider windshield. The modified Royal Enfield Himalayan Scrambler features a custom paint scheme, twin headlights, knobby tyres, and knuckle guards. Apart from the free-flow titanium exhaust, the custom Royal Enfield Himalayan doesn’t receive performance mods. The stock bike employs a 411cc, single-cylinder, SOHC, fuel injected motor that produces 24.5 bhp of power and 32 Nm of peak torque, mated to a 5-speed gearbox.